Since 2009, Recell One has purchased over 400,000 Laptops, Smartphones and Tablets and paid out over $1,000,000 to our business customers. On average, Recell One pays 17% more than any carrier buyback program and over 20% more than the largest, nationally advertised buyback company. 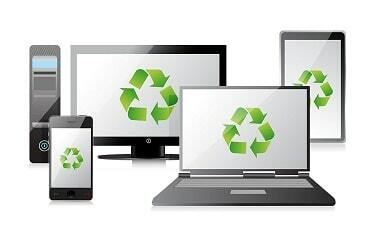 Join the hundreds of satisfied business clients from Northwest Ohio and Southeast Michigan and start your electronics recycle program today! It’s easy and it’s free. With new tablets and technology introduced so quickly nowadays, your company may be ready to upgrade soon. Recell One buys tablets and all-in-one “tough books” working and not working, allowing your business the opportunity to get the latest technology with the newest features sooner than expected. You can get a quote, or if your shipment is ready, packed and secure , request a free shipping pick up. We buy all makes and models of tablets and tough books like Apple, Samsung, Panasonic, ASUS, Amazon, HTC, Microsoft and more! Business cell phones have a life cycle of 18 months or less. Recell One will buy your used and unwanted cell phones, allowing your company to use this money to help cover the cost of your new cell phone upgrades. Is your company or organization upgrading to new technology? Sell your 10+ used cell phones or smartphones to Recell One. If your phones are packed, boxes taped and waiting to ship, request a becausefree shipping pick up. becauseNo label required. So what does your business have to recycle? If you’re within 60 miles of the Toledo, Ohio area we offer free pick up and recycling services Otherwise, we can arrange for free nationwide shipping to our facility.